The Development Office provides leadership, co-ordination and strategic initiatives for a variety of projects that help the Archdiocese achieve its financial goals, including parish and capital campaigns, planned giving, endowments, and special fundraising events and campaigns. We promote a culture of gratitude in the belief that all gifts, no matter what their size, come from the heart of the giver, and so ultimately from God, who made our hearts in the image of his own. This annual appeal operates in parishes across the Archdiocese in Lent. Your donation helps support eight different charitable causes, meeting needs at here at home, in Canada and around the world. When you donate to The Catholic Archdiocese of Edmonton you support the Seminarians Assistance Fund as well as Archbishop Charitable Fund. This foundation provides the financial resources necessary to support and sustain the seminary and college in their missions to provide theological education and priestly formation for Western Canada. This foundation provides a modest retirement income and other assistance as required to ensure the dignified care of archdiocesan priests when they retire or can no longer serve the People of God. 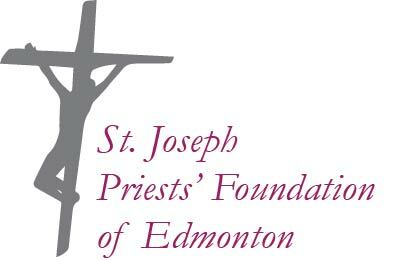 The Edmonton Friars are a group of dedicated lay people who since 1970 have raised funds for the education of future priests for the Archdiocese of Edmonton and the Ukrainian Eparchy of Edmonton. Watch for news about their annual gala, held every May.